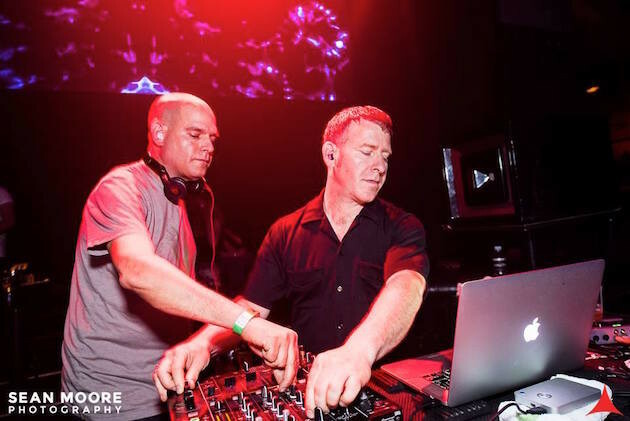 One of our favourite production duos, Gabriel & Dresden, talk about their North American Classics Tour, which continues tonight at Ten Nightclub in Newport Beach, California. Josh Gabriel and Dave Dresden are behind some classic productions, including ‘Tracking Treasure Down’ and ‘As The Rush Comes’ (as Motorcycle). Get excited, as hopefully it will be hitting Europe too. Josh Gabriel & Dave Dresden: "The scope of the night is for us to play only music we created, remixed or played in our Organized Nature radio show pre-2008, from the moment the club opens until the bouncers kick everyone out. But, why 'open-to-close' and why 'Classics Only now'? Glad you should ask. It simply boils down to the fans. They have been asking us for this kind of show from the moment we reunited in 2011. 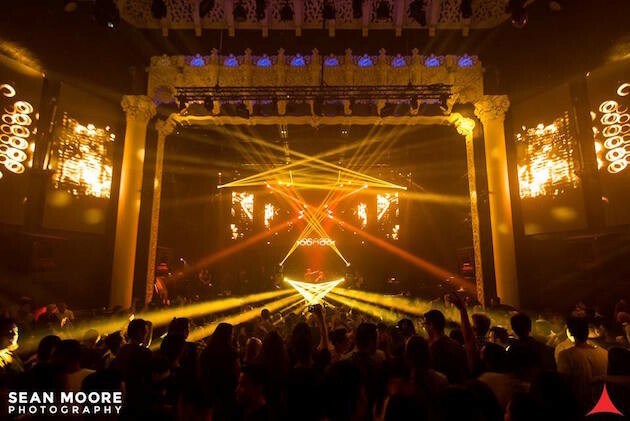 After all the changes that have taken place in electronic music since then, we felt the climate was perfect right now, where genres are so tightly defined, to go in the opposite direction and do a show representing many genres, tempos, sounds and moods. And by doing it open-to-close we could give the attendees an authentic nostalgic experience. 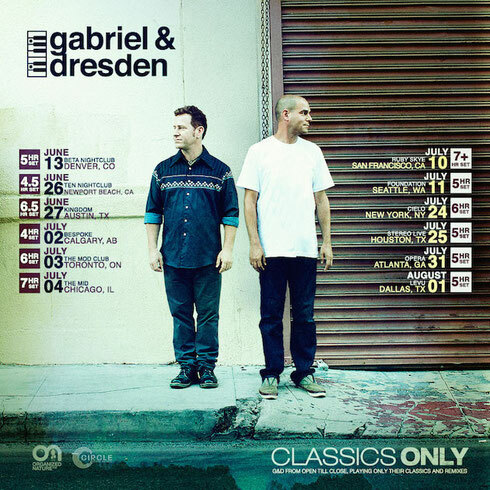 "When fans came to a Gabriel & Dresden show in, say, 2005, there was an energy to them that was unique and special. A familial vibe where you could tell many people on the dance floor were on the same page, enjoying the experience together. We've been missing that feeling over the last few years and really wanted to bring it back. It also came to our attention that many of our newer fans had no idea that classic songs like 'Tracking Treasure Down', 'As The Rush Comes', 'Beautiful Things' etc, were Gabriel & Dresden tracks. Not to mention, we'd get comments on Soundcloud from people acting surprised and excited to hear these old songs, or better yet, thinking they were new. More proof to us that now is the perfect time to showcase this extremely fertile period in electronic music. So far we've done 3 sold out shows, and the response has been even better than we expected. Old fans and new getting down together on the dance floor from open to close, singing at the top of their lungs and going crazy for many hours. Don't you want to share in this experience?"